Emirates, the world’s largest international airline, today celebrated the inaugural flight of its new service between Dubai and Edinburgh. 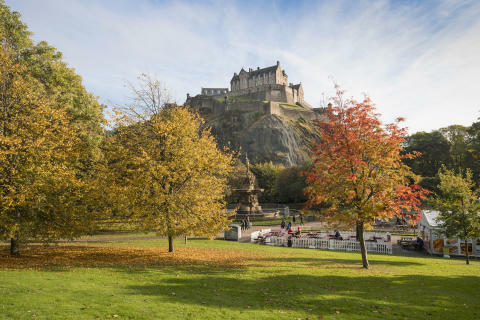 The EmiratesBoeing 777-300ER touched down in the Scottish capital just before 3pm local time, making Edinburgh the airline’s second destination in Scotland and the eighth in the United Kingdom. Malcolm Roughead OBE, Chief Executive of VisitScotland, said: “The launch of this Emirates service from Dubai to Edinburgh, coupled with the existing Emirates service to Scotland, strengthens the country’s reputation as a world-class destination and presents the Scottish tourism industry with a fantastic opportunity to further attract visitors via this major global air hub. 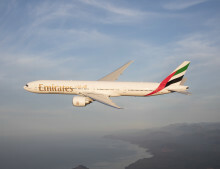 Daily flights to Dubai to take off in October.